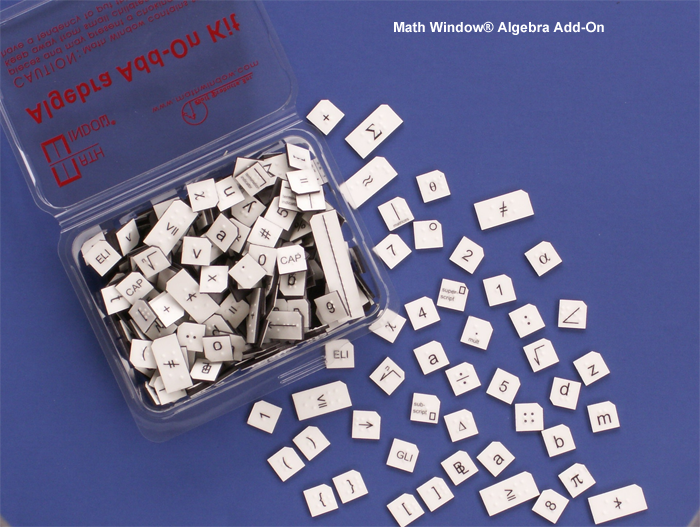 Math Window is an easy-to-use math teaching tool utilizing magnetic tiles on a conveniently-sized work surface. It is portable and comes with its own carrying case. Math concepts are easier to understand using this tactile method of building and solving math problems. These kits contain Nemeth Code or UEB (Default) Braille as well as print, and have proven to be a valuable resource for blind students. 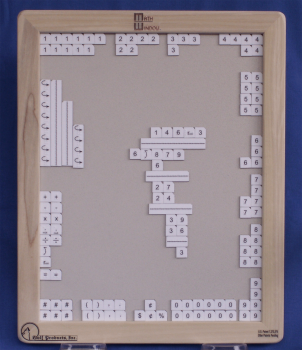 Math Window® Braille provides the needed tools for blind students to construct, modify, and solve problems in "real time"; when the concept is actually being taught. 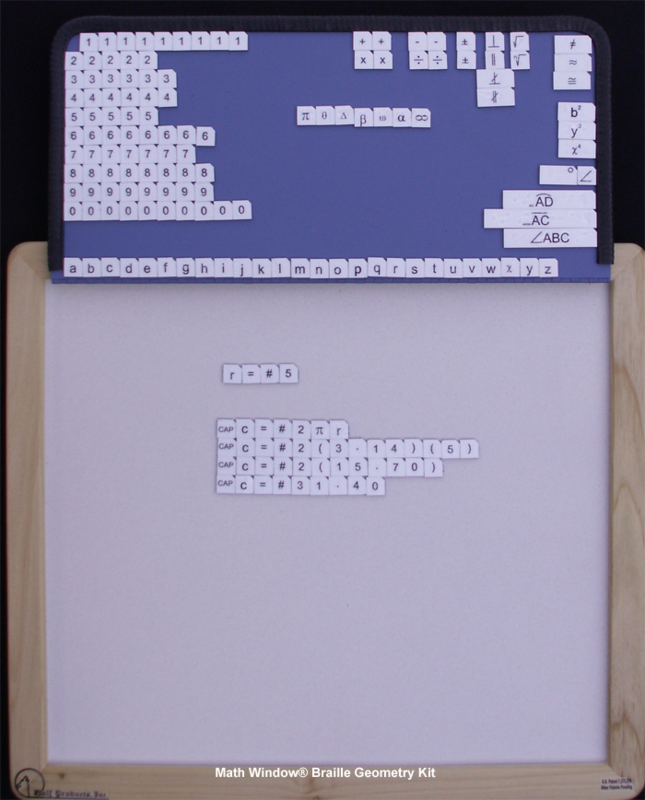 Our 1/2" square tiles are extra thick for ease of manipulation and contain standard sized Braille. These kits provide a great way for blind students to interact with their sighted instructors and peers! 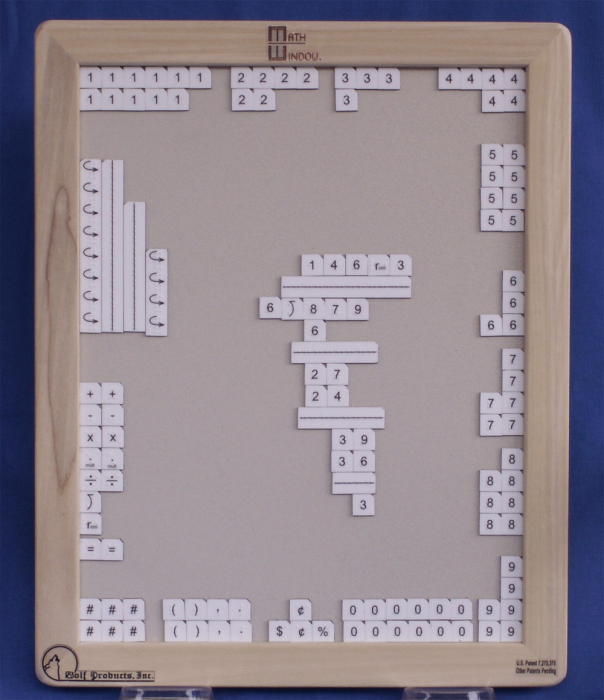 Our Math Window® Braille Basic Math Kit provides the essentials for your student to complete problems in addition, subtraction, multiplication and division, as well as fractions and decimals. 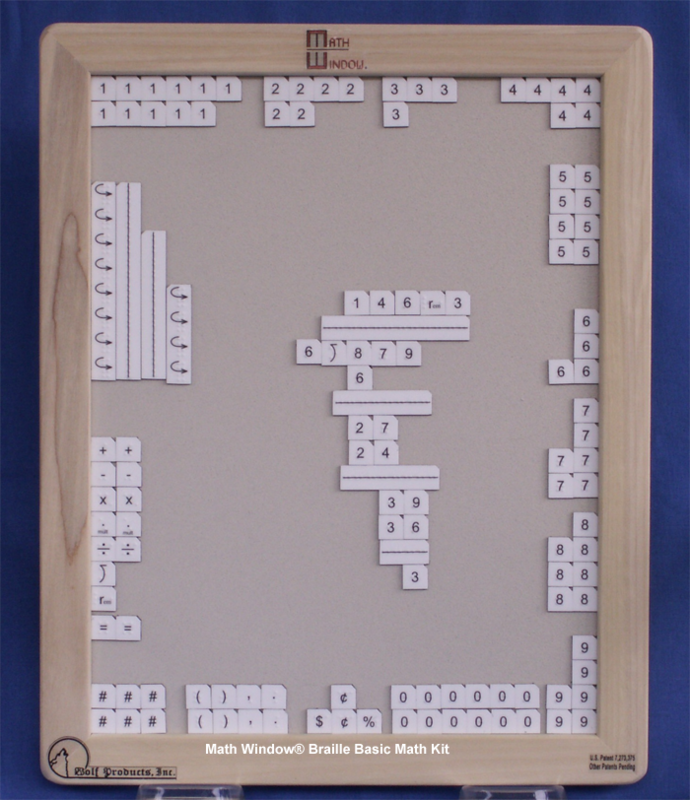 This moveable Nemeth teaching system allows the student to quickly set problems and easily make changes. Pre Algebra, Algebra I, and Algebra II. It is a must have for any student continuing in their mathematical studies! 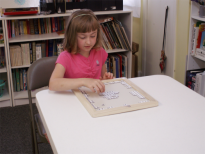 Our Braille Geometry Kit will allow your student to work and solve geometric problems, as well as, graph them on our double-sided, framed work surface. This kit contains point markers for locating points and plotting squares to help the student accurately plot points on the graph. Wickki Stix® are used to connect the plotted points, forming line segments and curves, and to illustrate math functions. Tiles are stored on an attachable tile pallet to allow interchangeable use of both sides of the work surface.